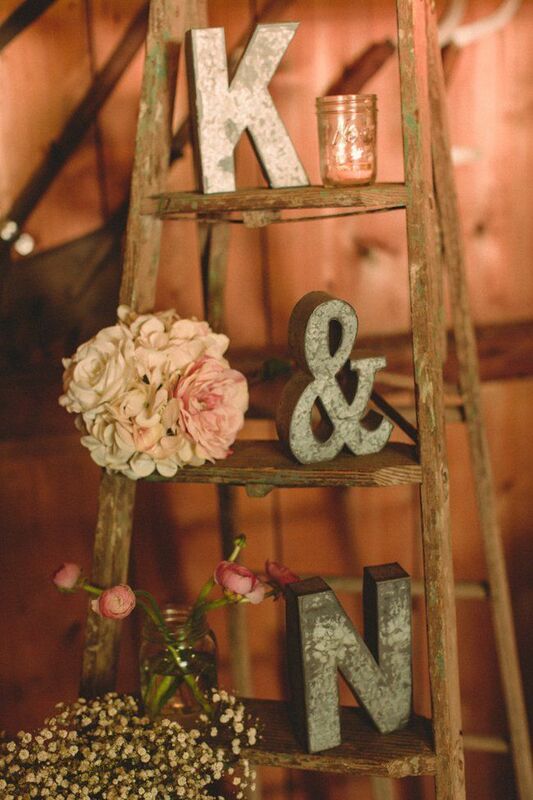 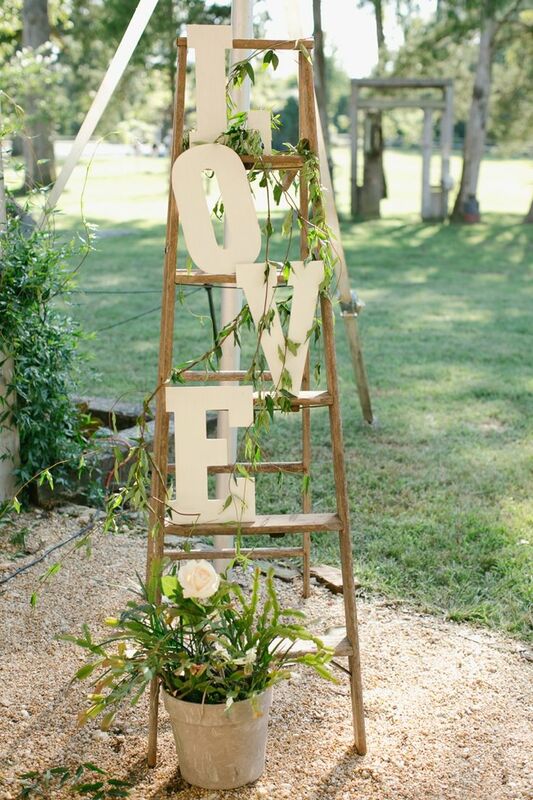 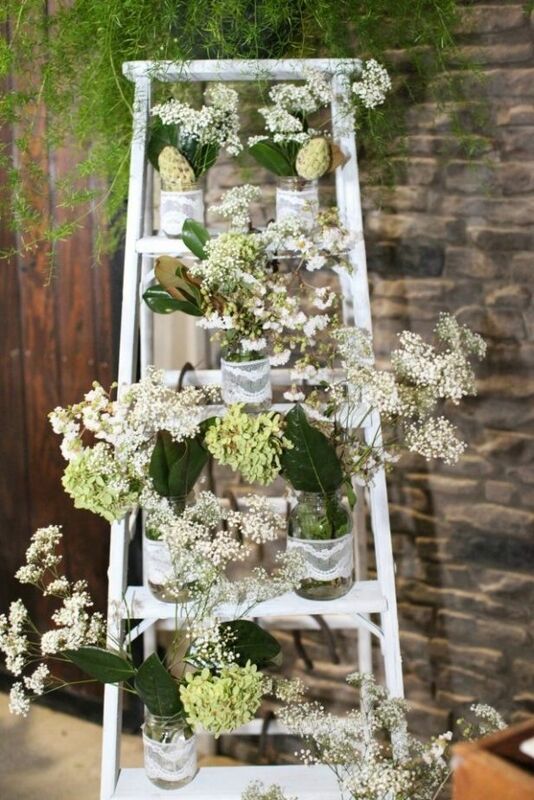 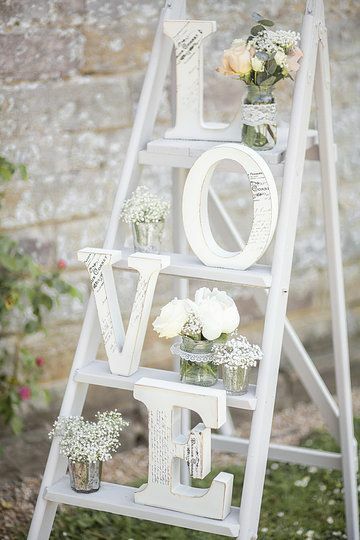 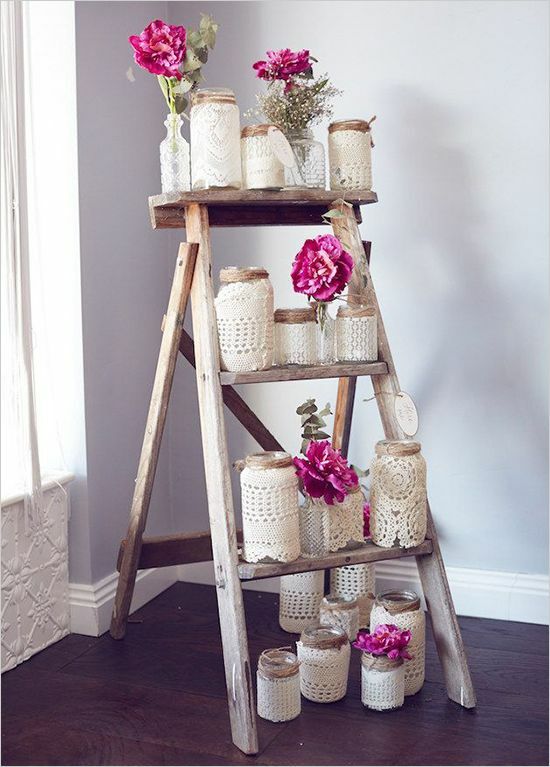 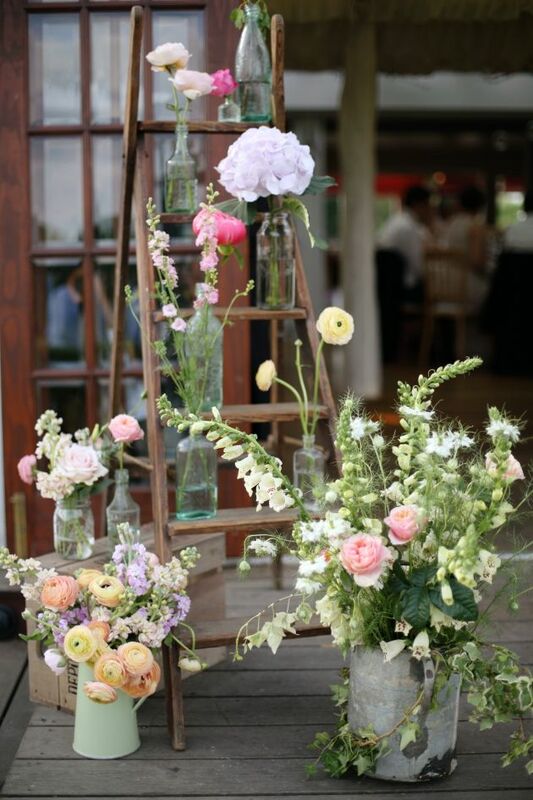 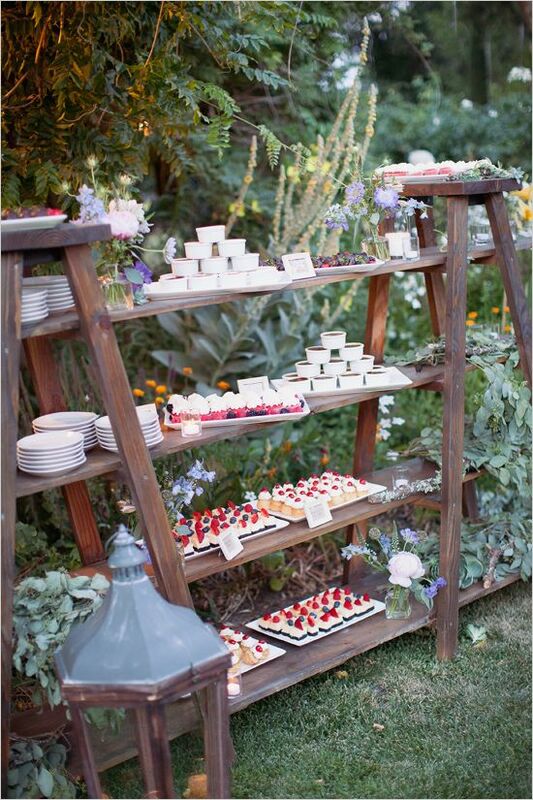 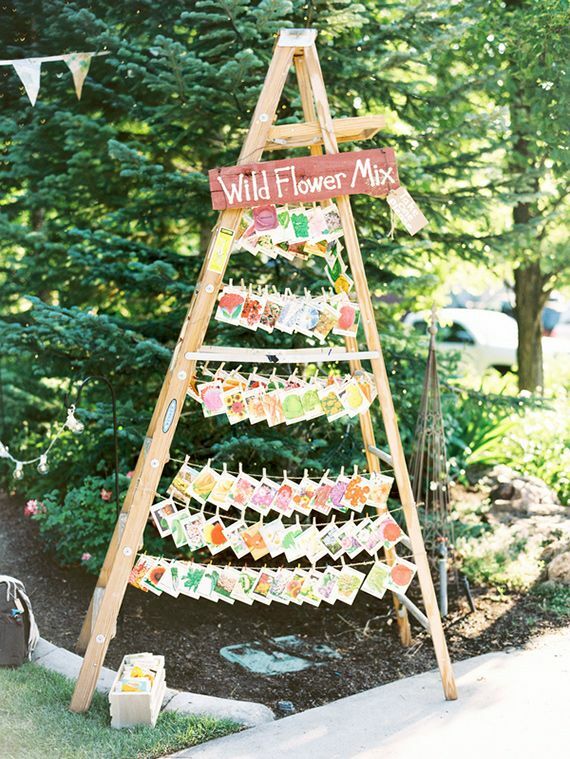 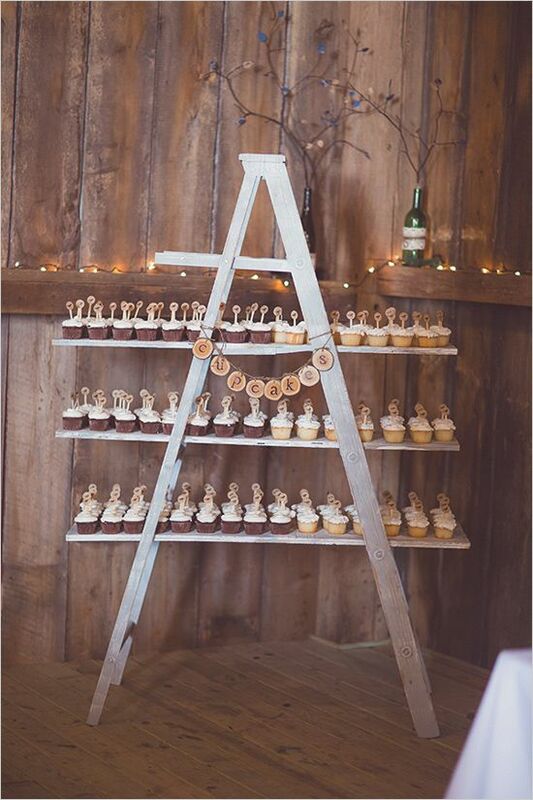 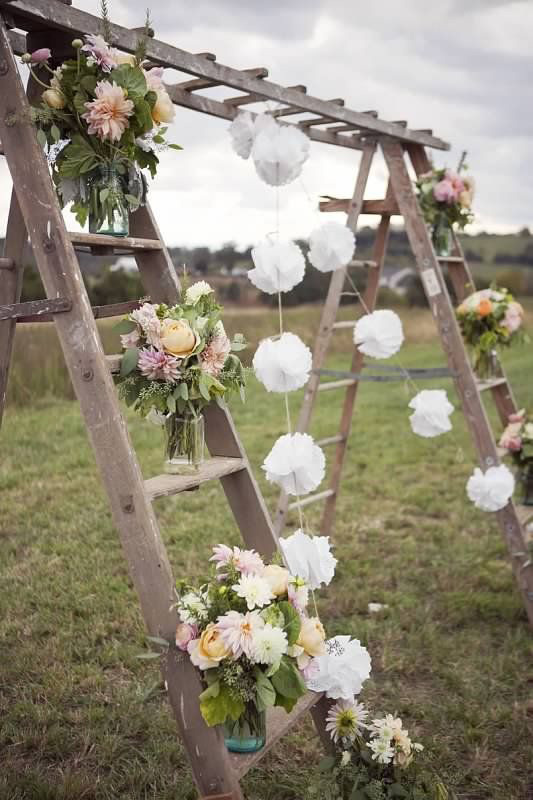 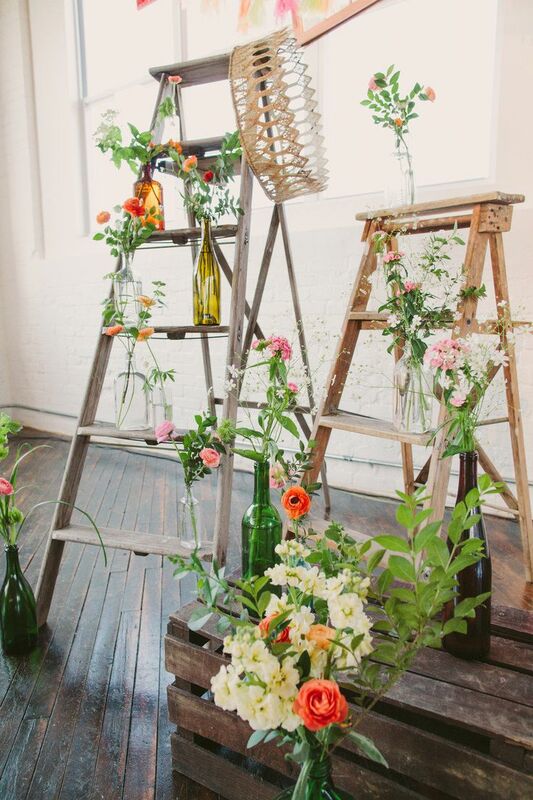 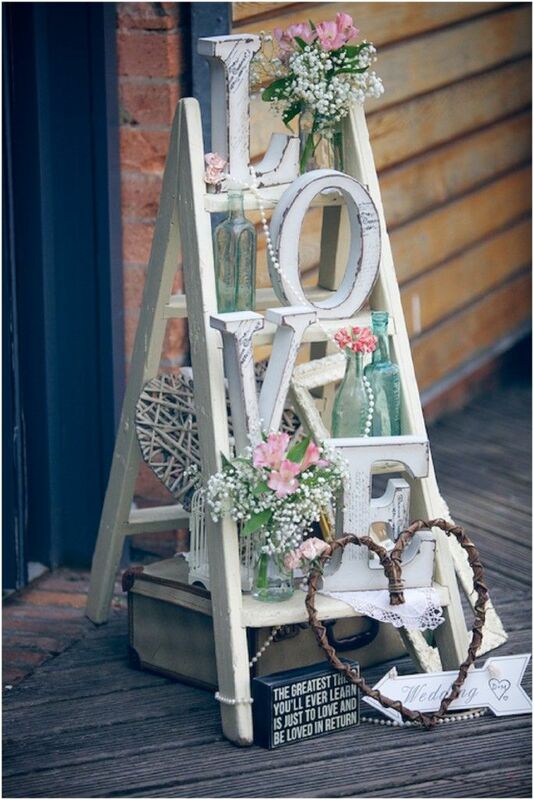 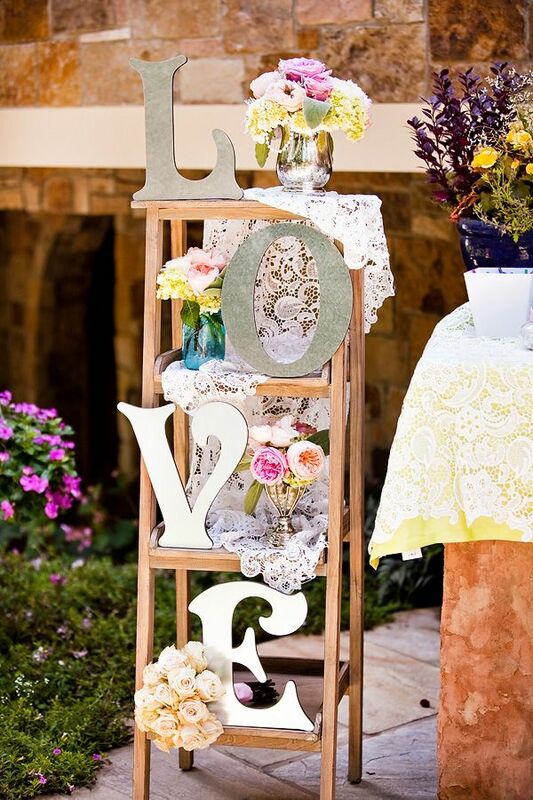 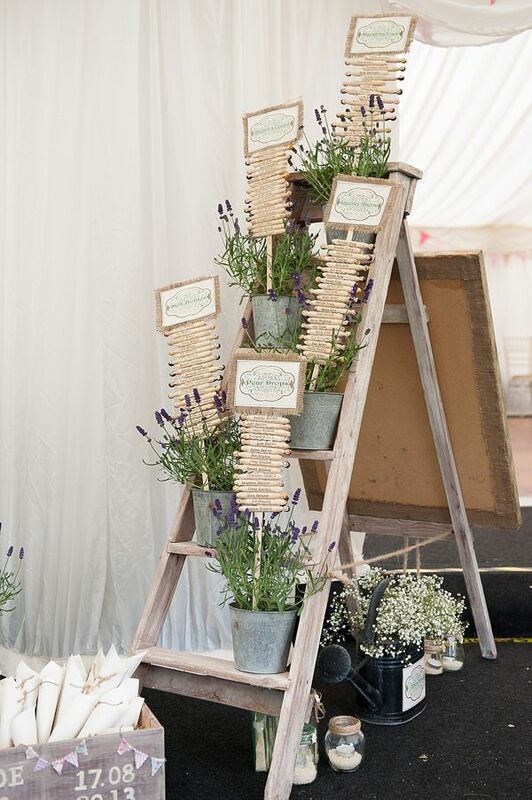 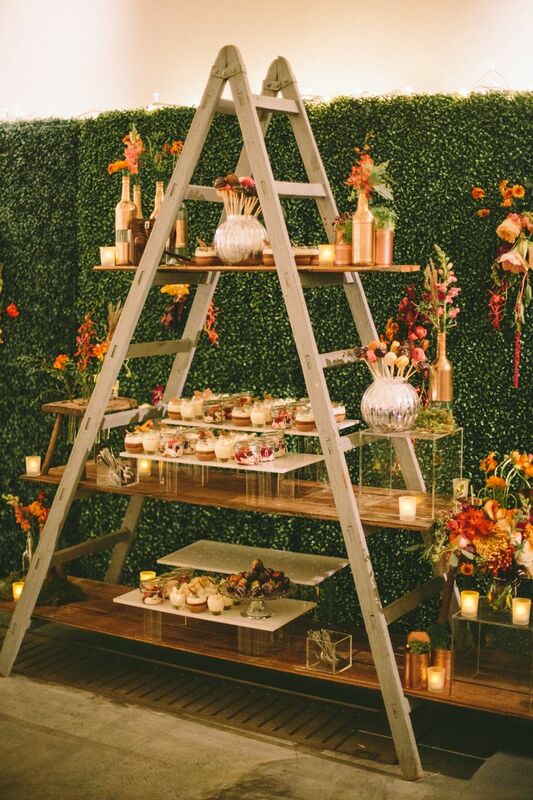 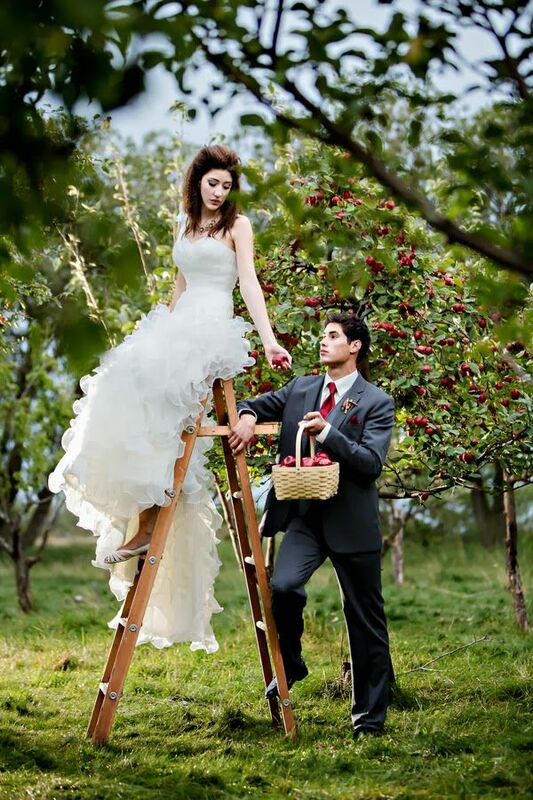 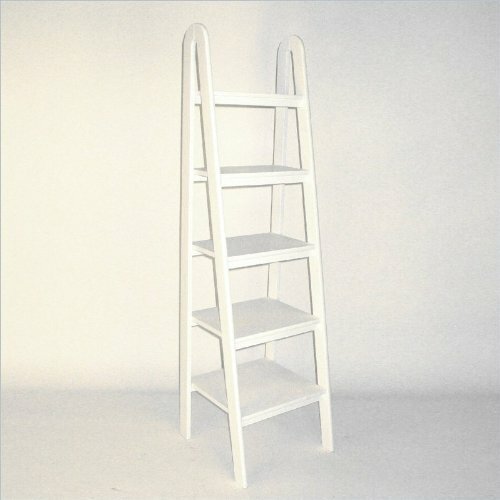 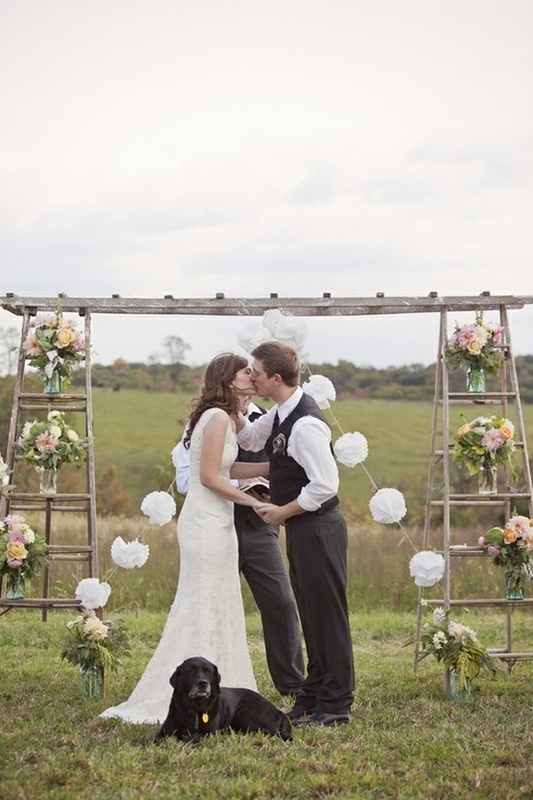 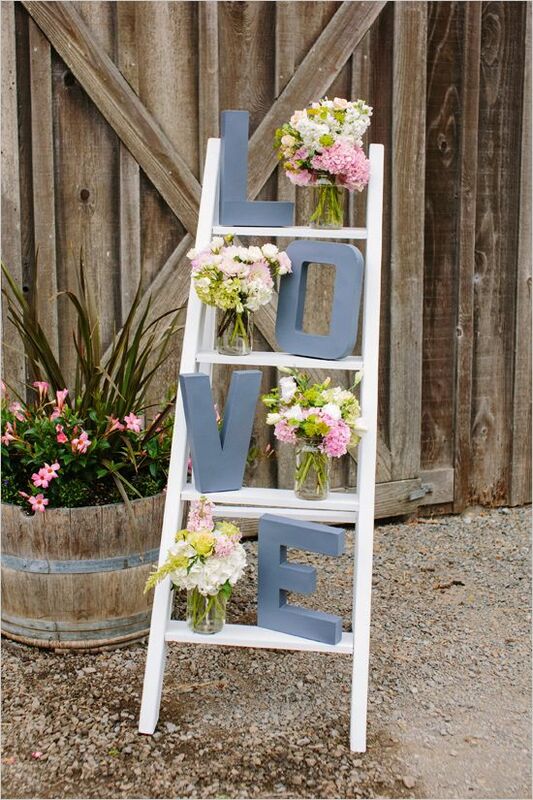 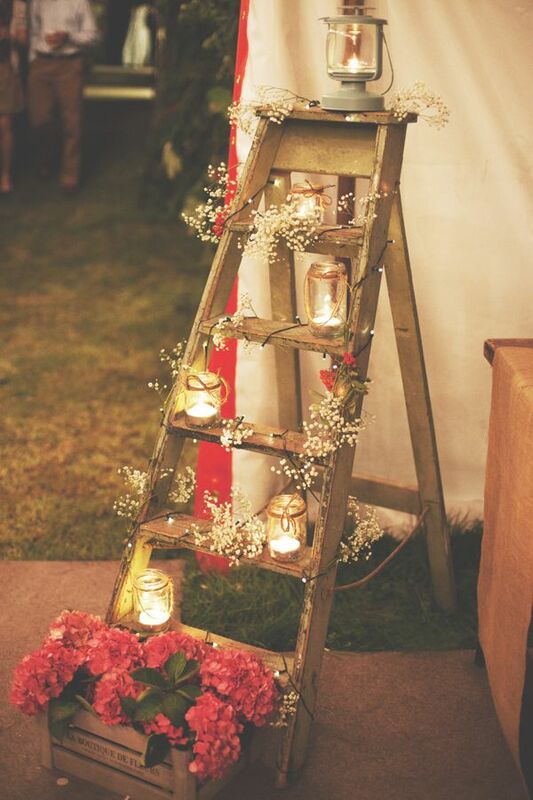 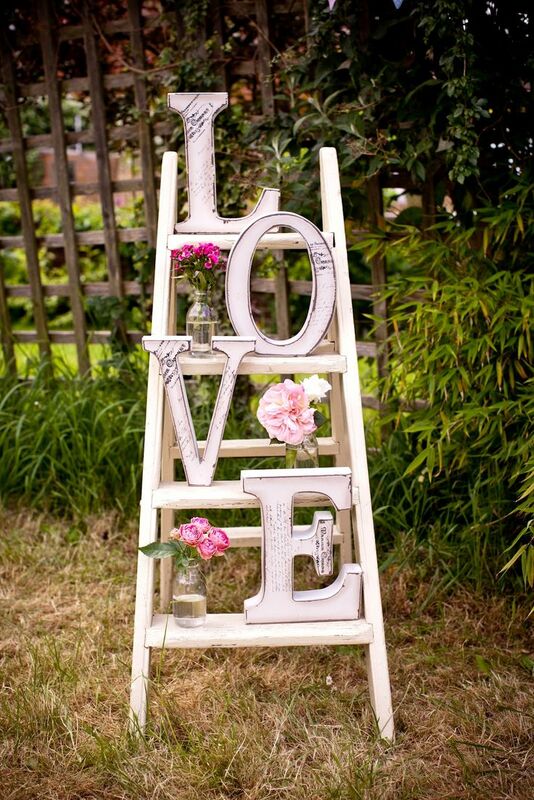 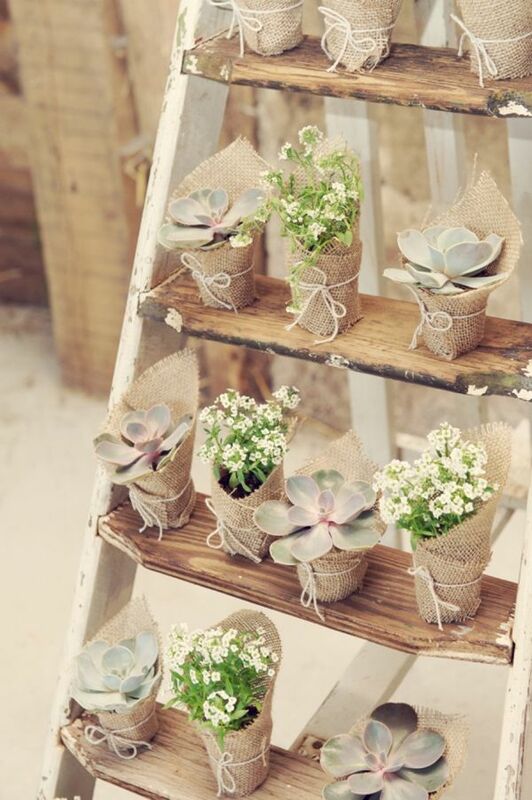 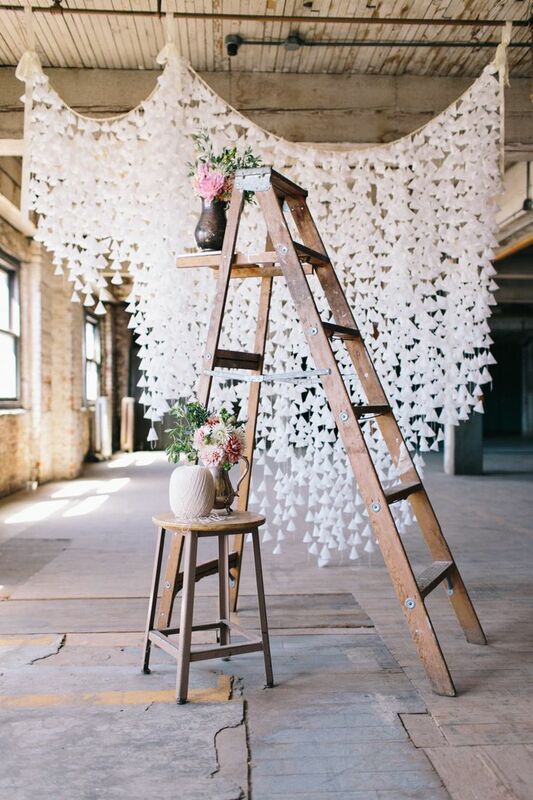 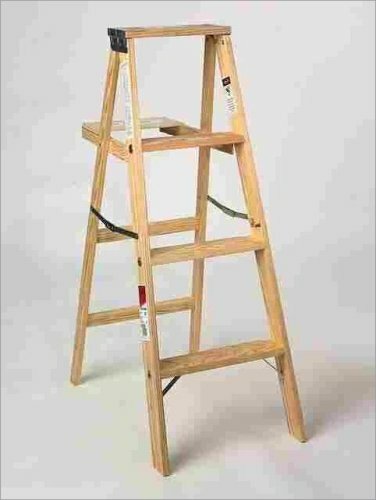 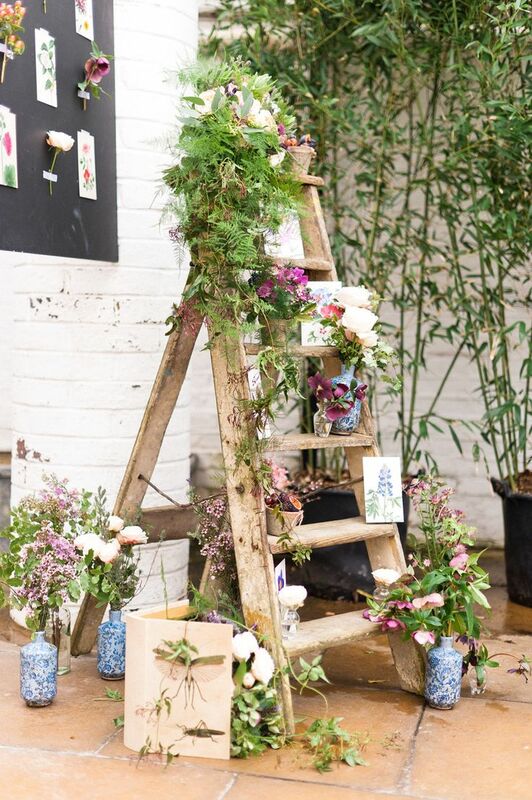 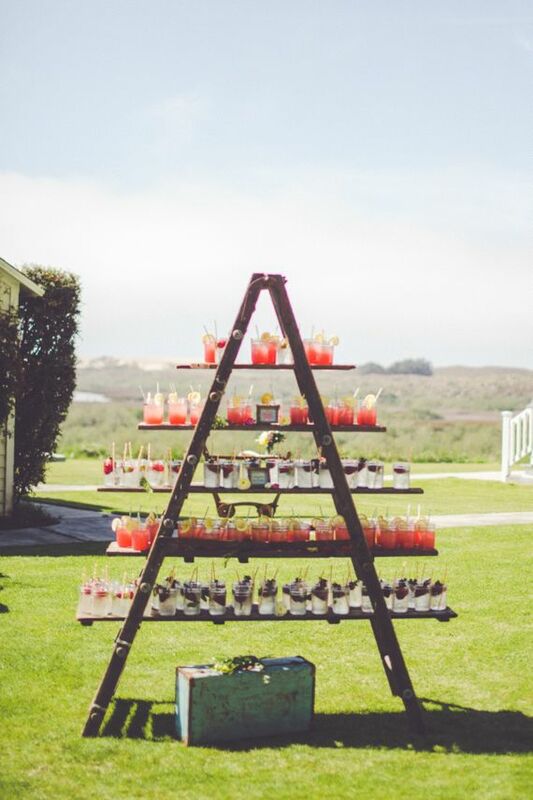 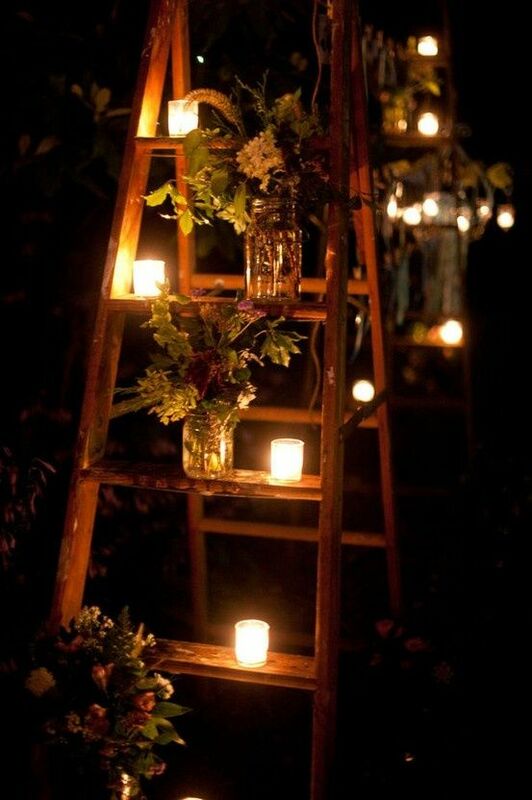 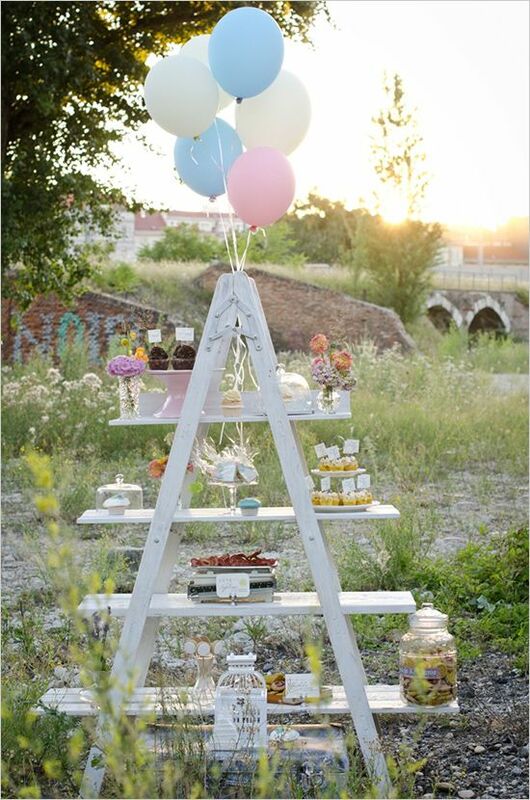 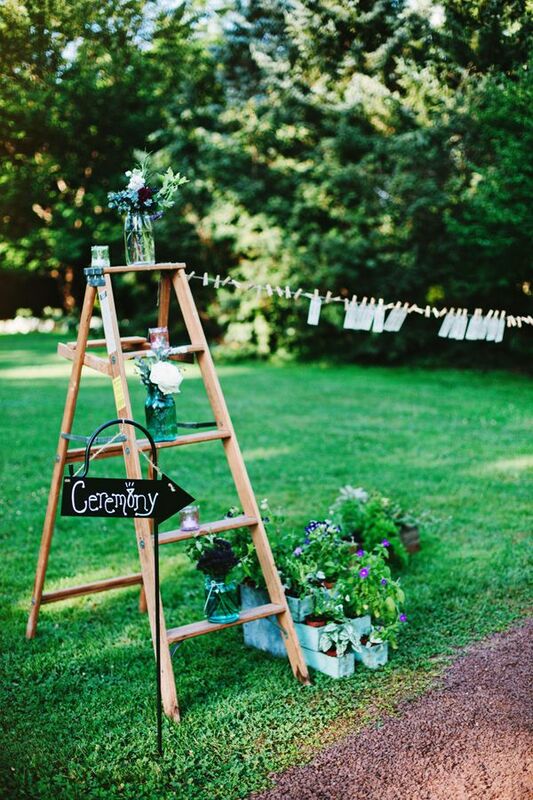 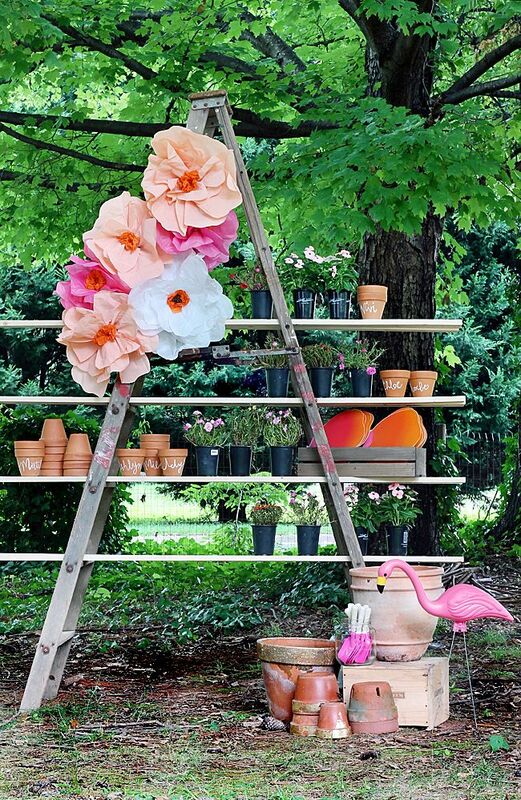 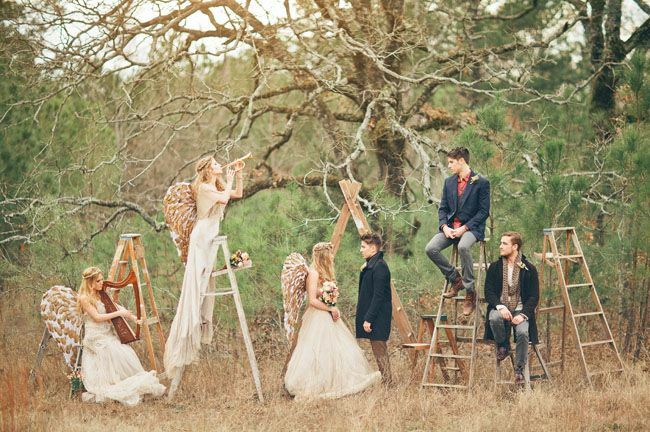 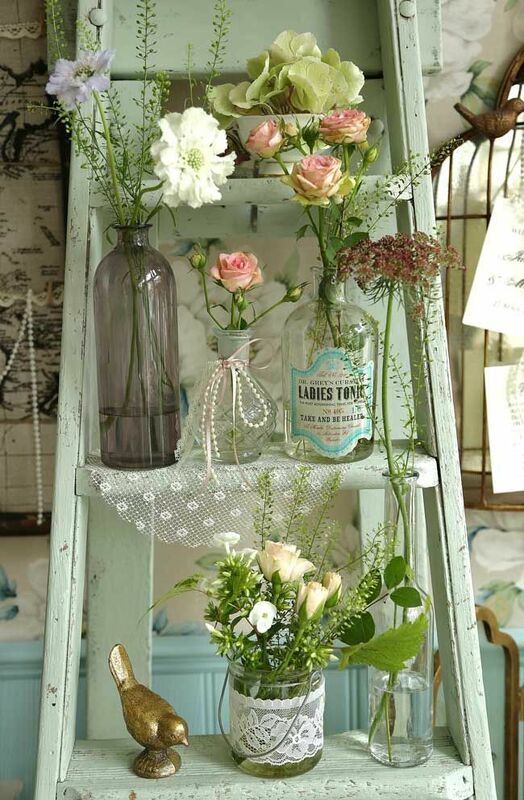 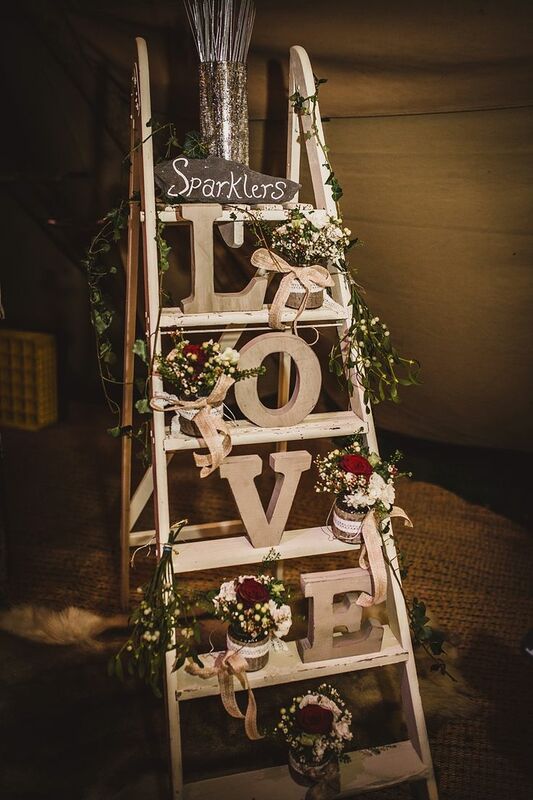 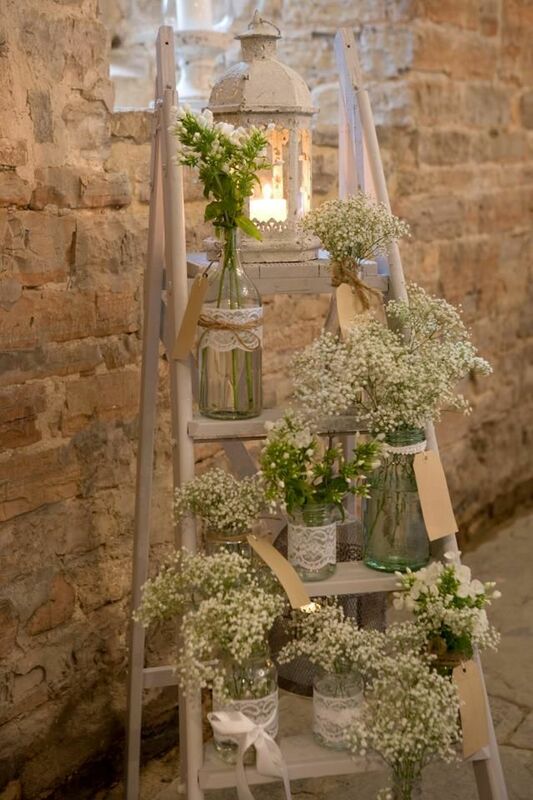 Pretty, pastel-coloured retro wooden ladders like this have multiple uses at a wedding reception. 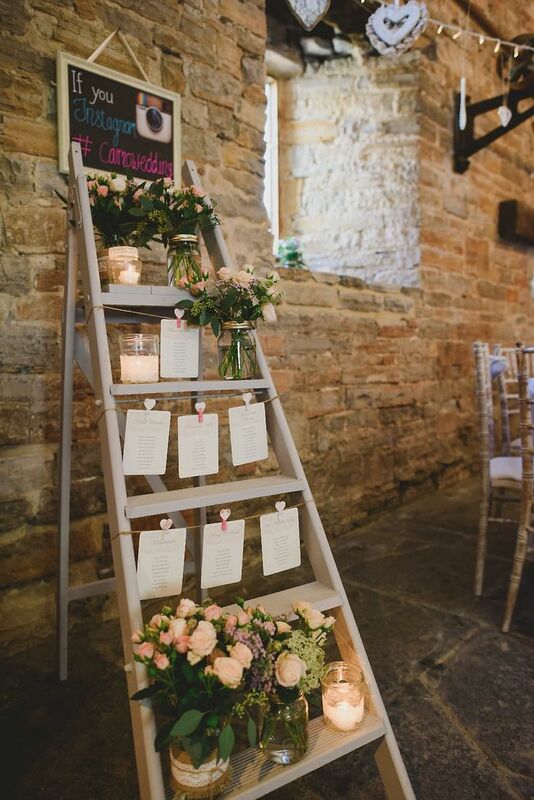 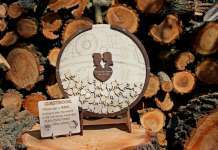 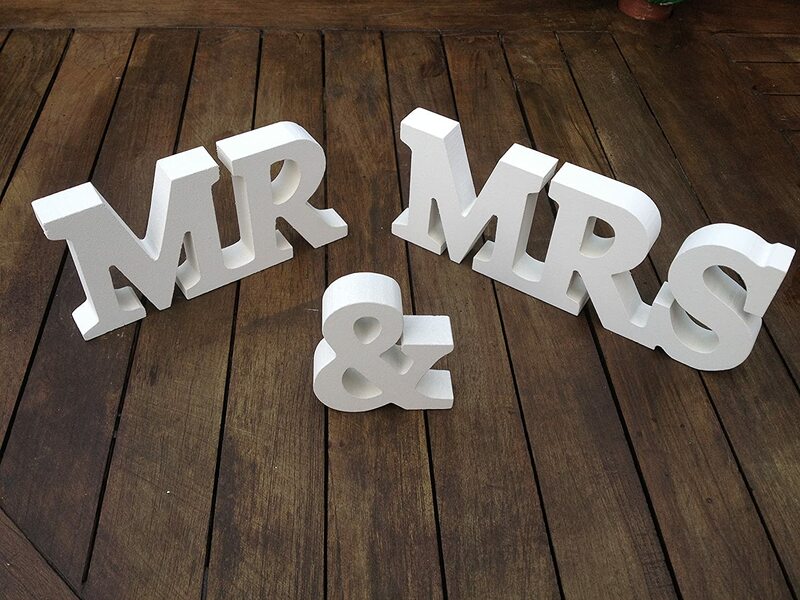 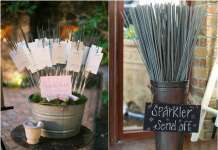 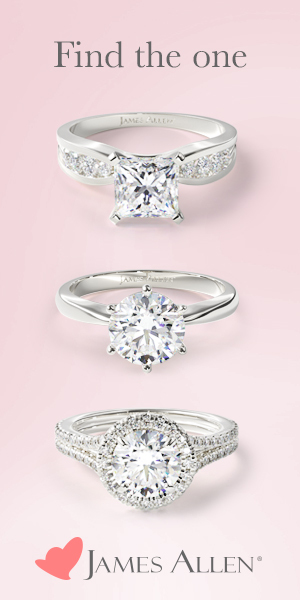 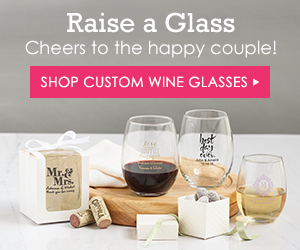 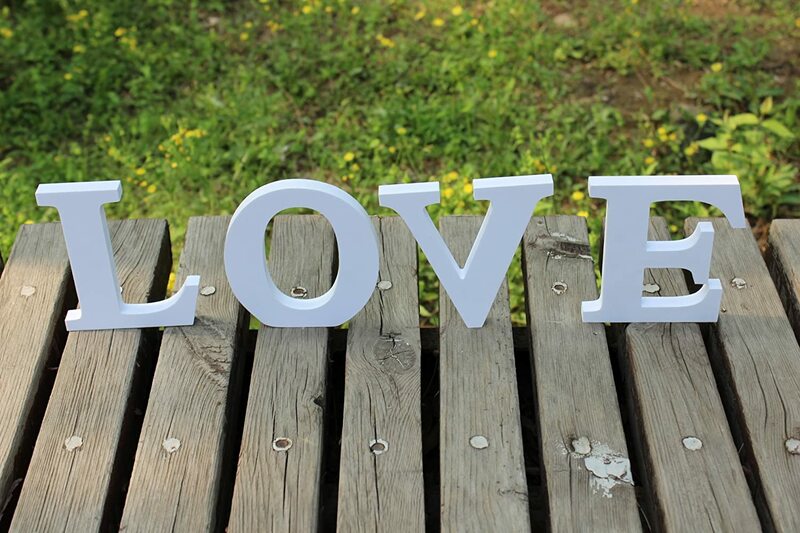 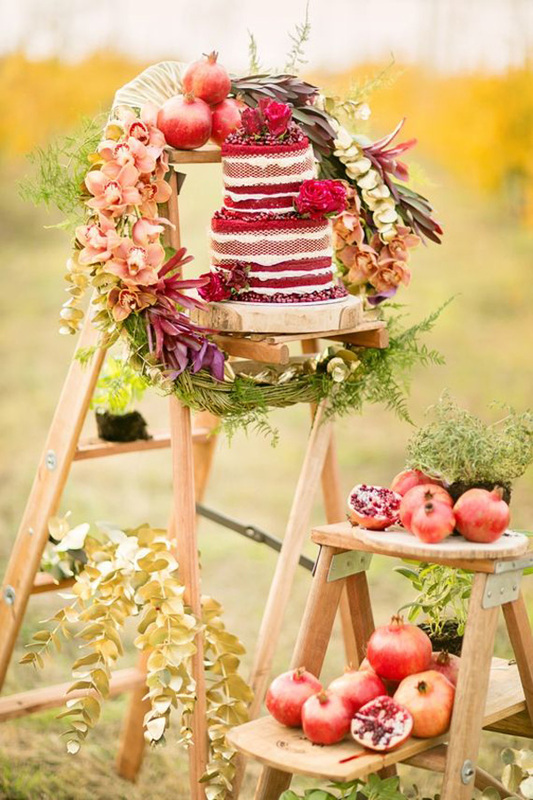 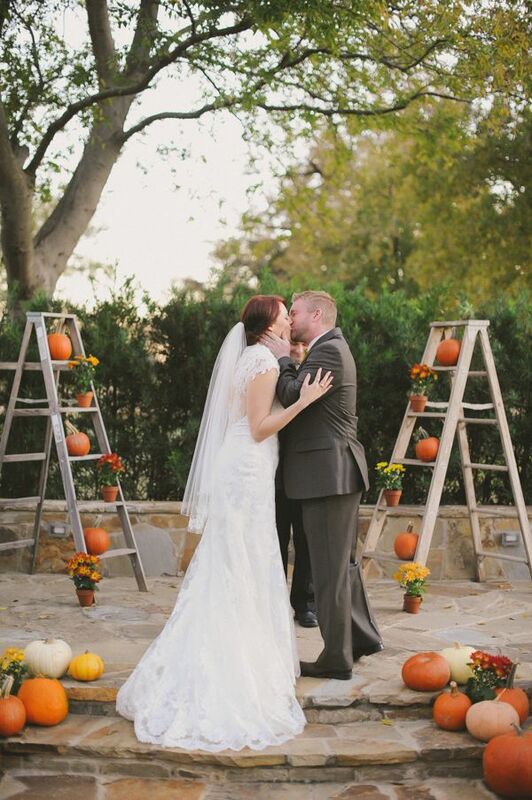 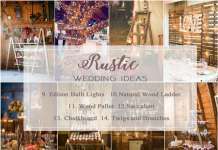 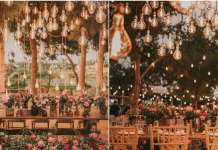 Use the different levels to display details, or perhaps even your table plan? 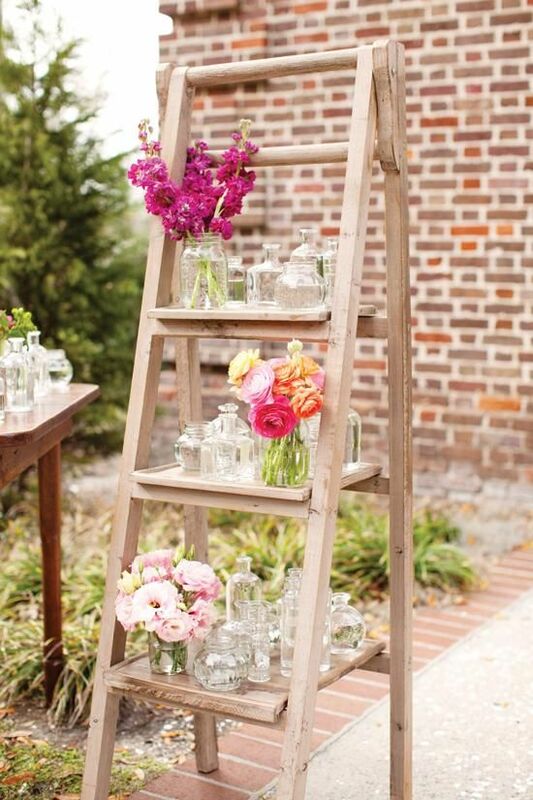 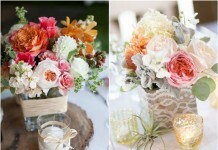 This quirky arrangement with flowers, birds and bottles would work especially well for an outdoorsy celebration.